The JM Posner shaved ice machine wouldn't start until the ice press is closed, ensuring the safety of use. 4 snow cones come included in the set to let you serve up your desserts. The included power cord is a bit short. If you are looking for an efficient ice shaving machine for making ice desserts at home, the JM Posner snow cone maker can be exactly what you need. Equipped with a large removable feeder chute, the Glacier shave ice machine is perfect for crushing ice cubes of all sizes. It has a fingerprint-proof housing. Its chute has no lid. 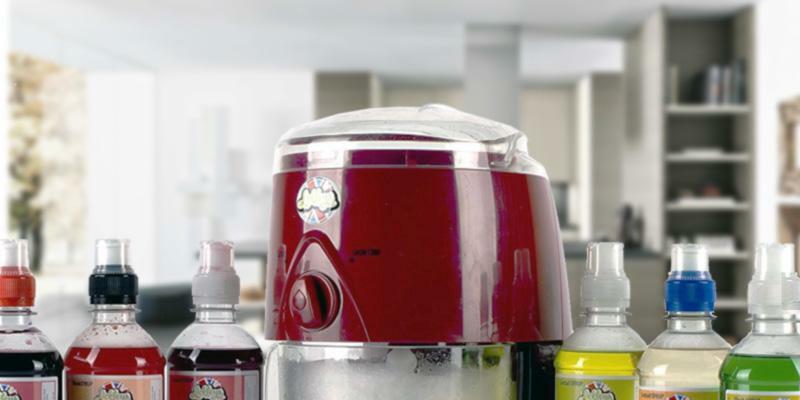 This user-friendly and efficient shave ice machine has a handy removable 3-litre bucket for storing and serving crushed ice. Chilling your drinks with it will be a piece of cake. 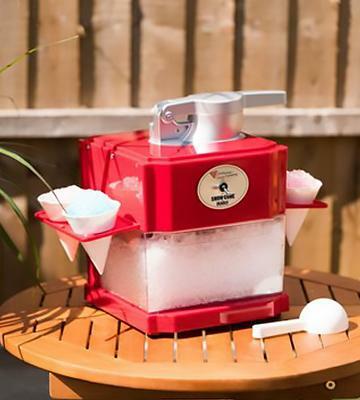 Unpack the Lickleys snow cone maker and make tempting desserts! The package includes two bottles of popular slush syrups. 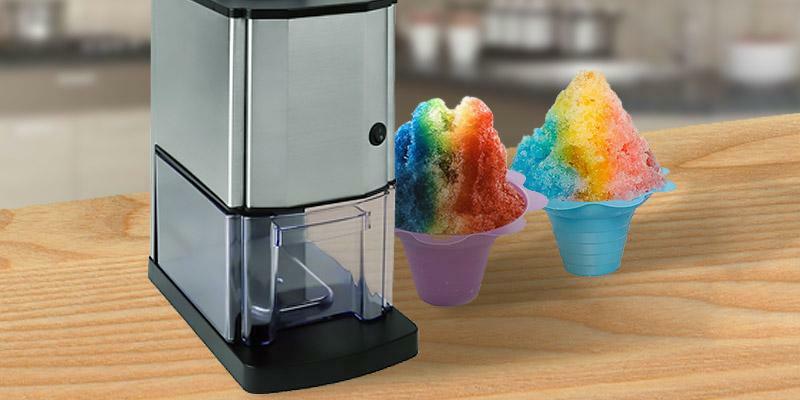 It is a perfect shave ice machine for home use. 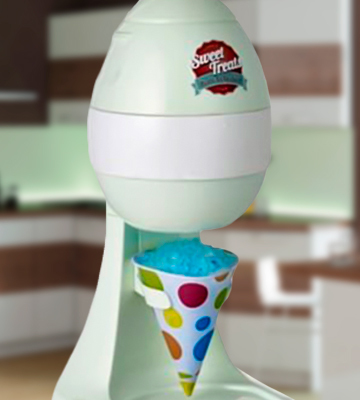 With this awesome shaved ice machine, you will be able to treat your family and friends to ice desserts containing various syrups, fruit, or any other toppings to your taste. 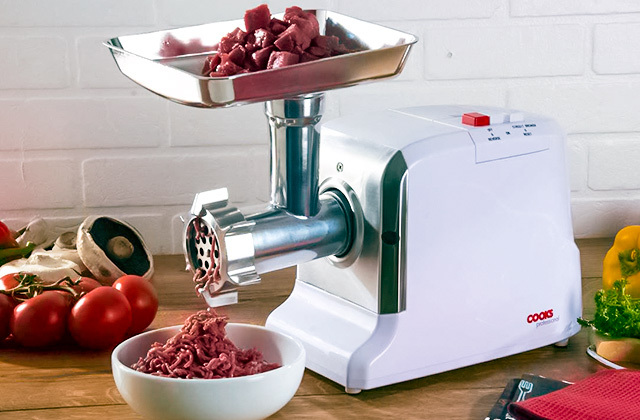 Boasting a neat and compact design, this fantastic ice crusher will take minimum place on your worktop; it can be conveniently stored after use. It is a wonderful space-saving solution for small kitchens! For big festive occasions, you might need a unit with a larger ice container. A well-thought-out user-friendly design makes this model a perfect choice for slushies lovers. 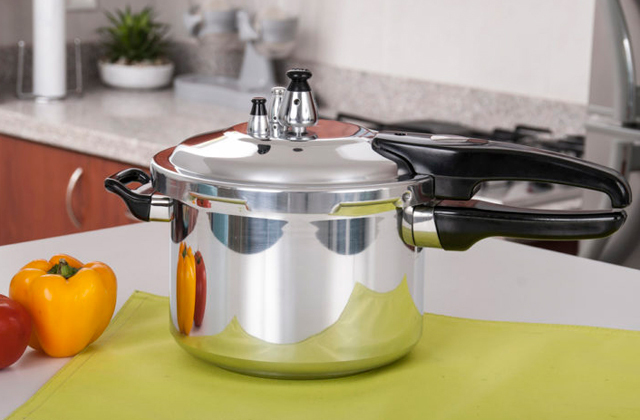 It will crush ice quickly and efficiently, allowing you to prepare stunning cold desserts for your family in no time. Once the box is unpacked, you are almost ready for a themed party. In addition to this fantastic retro-styled machine, you get a number of delightful recipes, 20 paper cones, and 20 straws. The motor might overheat and it takes some time to cool down. 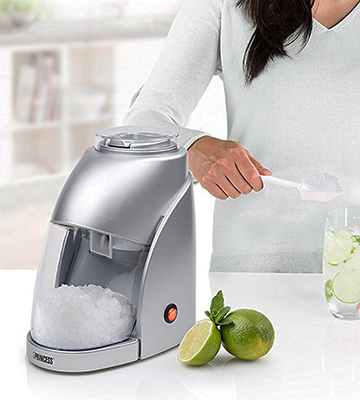 With this stylish snow cone slushy maker, you can create toothsome desserts and all kinds of cocktails and mocktails to pamper your guests of all ages and tastes. It's not so easy to select a suitable appliance from a myriad of shaved ice machines available on the market. However, if you have a big family, you can narrow down your choice to efficient ice shaver machines only with some distinguishingly reliable safety features. The JM Posner shave ice machine is one of them! The appliance starts only when the snow bin is put in place and the ice press is closed. This will prevent any foreign objects from getting inside as well as protect users from getting hurt. 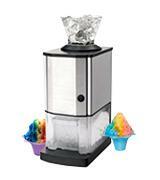 The JM Posner snow cone maker boasts fantastic performance, and you can make four portions in less than one minute! Comparing to many other shaving ice machines of the same class, this amount sounds impressive. We also liked that the manufacturer has provided this set with 4 plastic cones saving you the need to buy them elsewhere additionally. Once the shaved ice is ready, serve it up in these cones and when the feast is over, hide them away in a foldaway cone storage compartment. 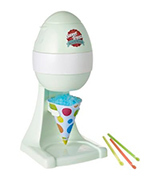 With the JM Posner snow cone maker, you can enjoy homemade snow cones and slushies, experiment with syrups, add fruit and create absolutely fantastic mouth-watering treats for your whole gamily as often as you want. 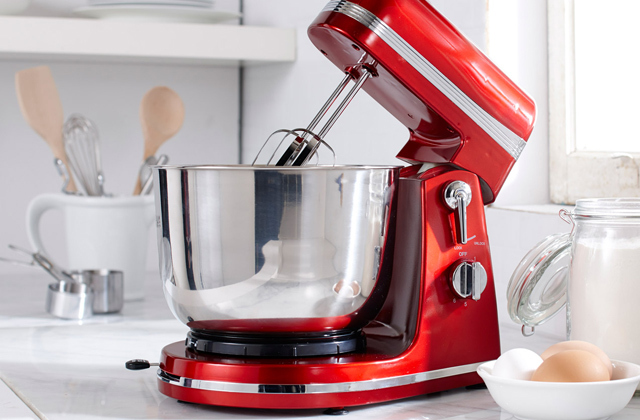 To enjoy fantastic homemade frozen desserts, we recommend buying an ice cream maker. If you are looking for a high-quality shaved ice machine, consider buying the Ice Appliance Glacier ice crusher. 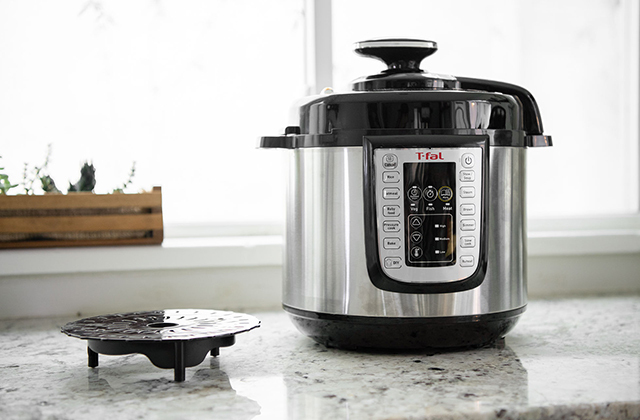 It boasts user-friendly design and intuitive operation. 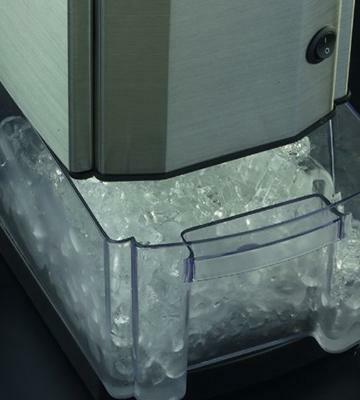 Just put the ice cubes into the chute on its top, press the button, and get crushed ice to chill your drinks in no time! 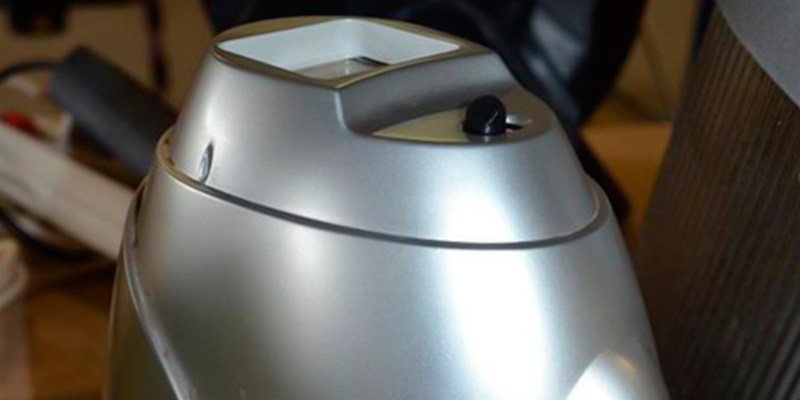 By the way, its ergonomic feeder chute is large enough to accommodate ice cubes of different sizes. 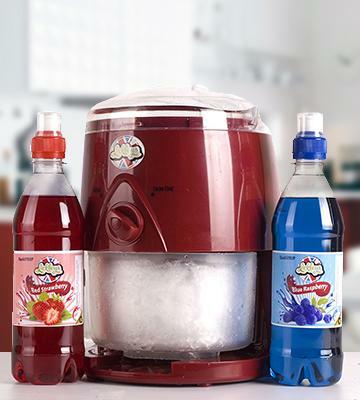 This powerful shaved ice machine is able to crush up to 12 kg of ice per hour! Plese keep in mind that the appliance works best for ice cubes made at home, as they are less dense than those of commercial grade. For the most convenient use, the model is equipped with a capacious 3 L bucket for storage and serving of the crushed ice. Besides, it comes with a handy scoop to add the latter to your drinks. 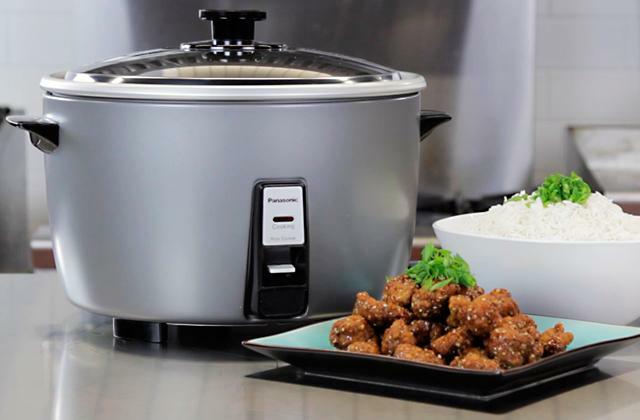 In addition, both its feeder chute and an ice bucket are removable for easy cleaning. Today, it is easy to produce ice cubes at home, especially with a quality ice maker. It's not a secret that children love sweets. Thus, when organising a birthday party for your kid, consider getting a snow cone machine for making ice desserts that all children are so crazy about. 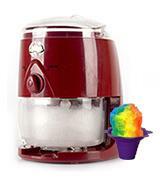 With the Lickleys snow cone ice shaver, making snow cones or slushies is a breeze and not time-taking at all. 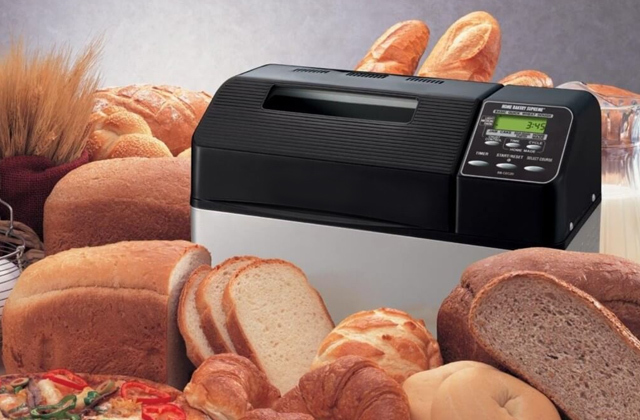 You don't even need to buy any additional ingredients; if you've already got some ice cubes stocked up in the freezer, the machine can be used right out-of-the-box. Alongside with the unit, the manufacturer supplied the set with two 500-ml bottles of syrup (blue raspberry and strawberry) and a recipe book that you can refer to while making delicious and refreshing desserts to treat your little guests to. Undoubtedly, the Lickleys snow cone ice shaver is a great choice for everyday use. Even if you're the only sweet tooth in your family, you can safely purchase this ice shaver and indulge your desires a bit. One more appliance to prepare mouth-watering treats for your children is a cotton candy maker. There is nothing like a refreshing cold drink on a hot summer day, especially if you can make and serve it in a matter of minutes. 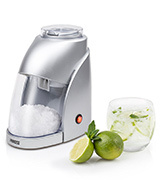 The Princess Ice Crusher allows you to crush ice for chilling your favourite beverages in a breeze. Just switch the appliance on, place ice cubes inside the reservoir and gently push its top to get ice shaved. Please note that the machine will crush ice cubes up to 25 x 25 x 25 mm size. The unit has a removable transparent 600-ml container, making plenty of room for ice that you can use to chill beverages and/or make refreshing desserts for your family and guests. In addition, this compact shaved ice machine takes minimum space on your worktop and it is easy to store away when not used. 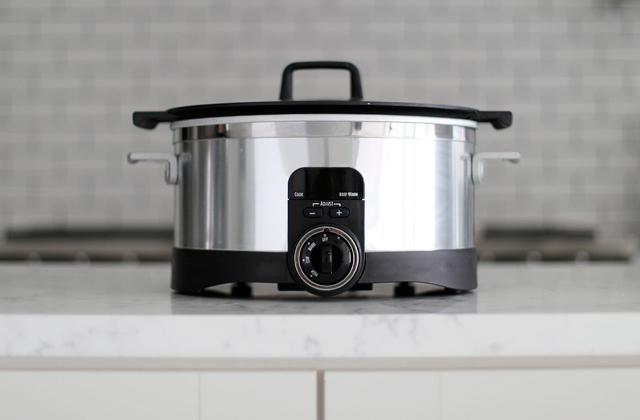 Besides, it is pretty easy to maintain: just wipe its housing clean with a damp cloth and rinse the ice container in warm water (hand wash is recommended). You can make carbonated drinks at home with one of these fantastic soda makers. Love to throw parties and delight your little ones with delectable homemade treats? 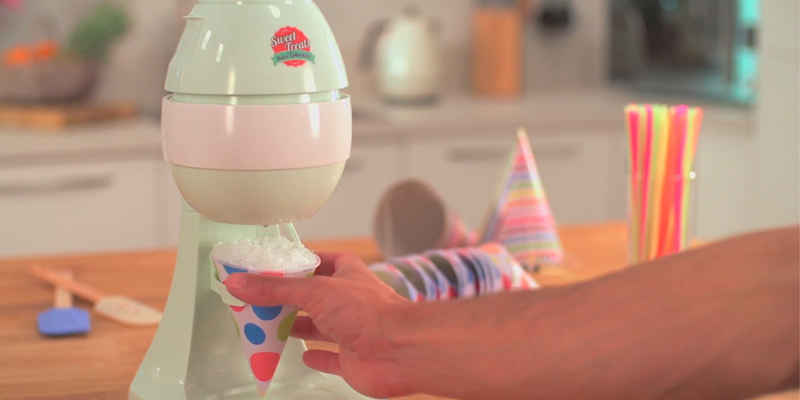 Then, this retro-styled snow cone maker is the one to get. 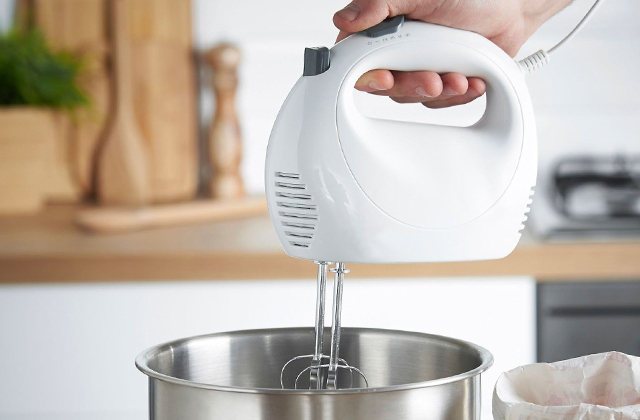 It grates ice in seconds and the shaving process is so simple that your children themselves can try to prepare desserts in it (under your supervision, of course). When the upper bowl is filled with ice, all you need to do to have it crushed and dispensed into a paper cone is press the egg-shaped lid. Add your favourite syrup and your mouth-watering treat is ready! If you are going to make smoothies or cocktails, you can remove the cone holder to place a larger cup or bowl. The unit comes with a recipe book, 20 straws, and 20 paper cones, allowing you to organize a small party for your little ones as soon as the package arrives (just make sure you have ice and other ingredients in stock). 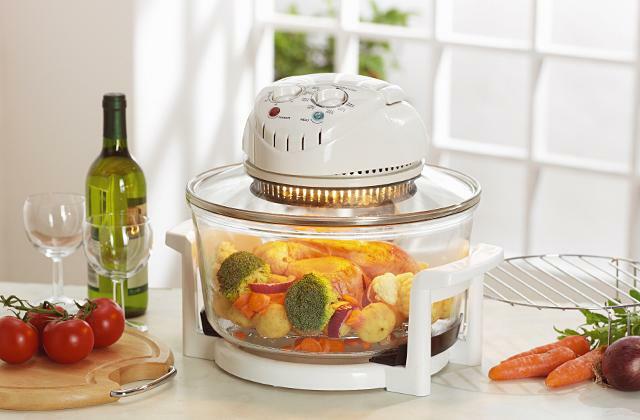 Summing up, this model is perfect for preparing ice desserts and beverages for your guests of all ages! To make healthy and nutritious drinks to serve with crushed ice, consider buying a smoothie maker. What is a Shaved Ice Machine? When summer is in and the sun is roasting you, there’s hardly anything better than having a chilling dessert made of ice mixed with delicious condiments. A lot of people worldwide find salvation in a water-mouthing ice-based dessert named shaved ice. You may have heard it called SnoBalls, Shavers, Hawaiian Shaved Ice, etc., but it doesn’t make it taste any different - it’s still the same crushed ice served frozen with sweet syrup on top. Usually, the top goes at the end when shaved ice has already been frozen but some cooks may add it at an earlier stage which doesn’t really make any difference. Today, you don’t need to take your family to a restaurant or a nearby cafe to enjoy this fantastic summer dessert. 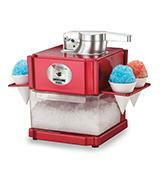 A wiser way would be to get a shaved ice machine and use it at home, gathering all your near and dear around. We’ve tested a variety of shaved ice makers to be able to present you the most decent ones. Hopefully, you’ll find a suitable model for your family needs! Once you try shaved ice, you’ll find it hard to resist preparing more and more of this incredible dessert. And what could be better than a dessert topped with tasty whipped cream? To prepare whipped cream right at home, you'll need a whipped cream dispenser. Try it and you'll love it! 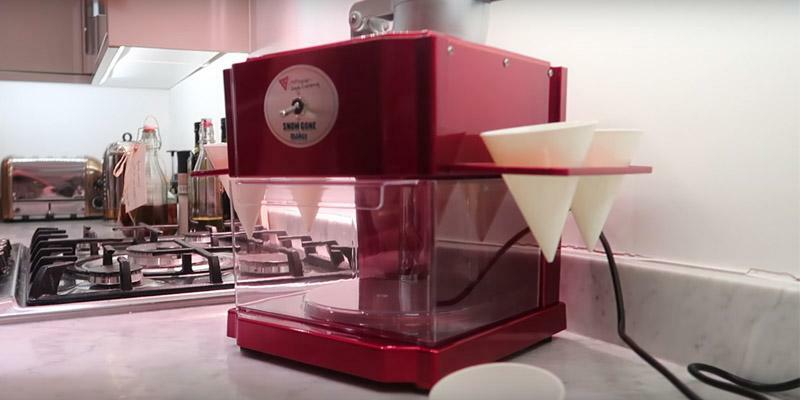 If you and your kids adore cotton candy, why not get an appliance to make it at home? So, you’ve got a shaved ice machine on a "to buy" list but not that sure where to start. The good news is - you’ve come to this website where we will gladly offer you an overview of essential features important to know before setting off to the shop. From the first look, it’s easy to come to a wrong conclusion that all shaved ice machines are pretty much the same. They might look similar, but there are certain things that make them different. And the first one you should discover is the way they crush ice. If you prefer fluffy, melted ice absorbing syrup quickly, you should narrow down your choice to ice block shavers and ice cubes shavers. Desserts produced in such machines look very much like snow and taste like ice cream. To prepare shaved ice in an ice block shaver, you’ll need to use rock-frozen ice which sometimes isn’t that easy to get. 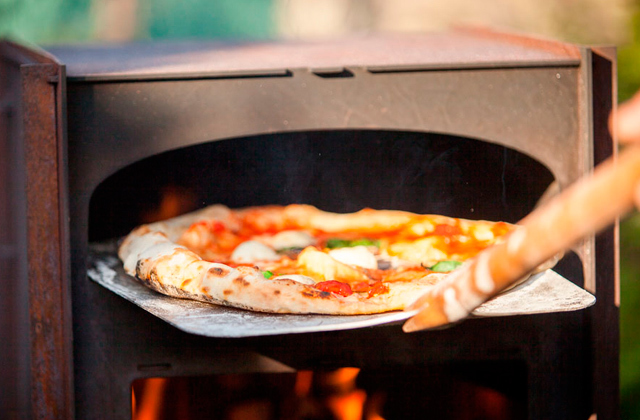 It’s got to be rather big, of 17 cm in diameter and at least 3.5 kg in weight. However, most fans of shaved ice keep freezing it by themselves in advance. Cubes ice shavers are easier to use in this sense since they don’t require any special ice but very standard ice cubes (or bagged ice) that most people usually have at hand. They won’t make shaved ice as fluffy as that produced in the other ice shaver but you’ll definitely still be pleased with its soft, snowflake-like texture. Snow cones are another type of crushed ice of more granulated and crispy structure. This type of ice is produced by most shaved ice machines. Customers who don’t want to bother their minds by running around seeking for special ice generally stick to the latter ice shavers. They are widely popular around the world and they produce desserts out from usual bagged ice sold here and there. Now, when you already know what we believe is quite important, it’s time to check on performance and the way the chosen shaver is controlled. If you’ve never prepared this ice-based dessert in your life before, you’d be surprised to discover that it does take some ice. For example, to make one portion of shaved ice, you’d need to fill the machine with at least half a pound of ice. Still, this isn’t going to be enough if it's not only two of you in your family and there are kids waiting for a dessert. Ice is what you’ll definitely need to keep this fun going on for everyone. However, after you compare ice shavers from our selection, you’ll easily pick one with a lower ice consumption. With all this figured out, the rest in using a shaved ice maker is pretty simple. All you need to do is load some ice into a special container and push the ON button. Some ice shavers offer consumers the opportunity to choose and program the size of crushed ice so as to enable them to vary the taste of dessert every day. One day you can have it really soft, the other day you can treat your guests with a crispier shaved ice. To have an ice shaver last for a few years and serve you its best, it’s essential to consider what material it’s made of. Metal shaved ice machines are commonly recognised as most durable and reliable, though we can’t really say that plastic devices are all that inferior to them. Plastic used today is far different from that used even a decade ago. It’s heavy-duty, solid, BPA-free and absolutely safe to use. For the majority, plastic ice shavers are a more attractive option, and cheaper, too. Please, make sure to look at what conveniences manufacturers provided their devices with. Consider shaved ice machines with removable, stainless steel blades so that when they get blunt you can have them quickly sharpened instead of buying a whole new unit. Look for details as well. Anti-skid feet on the bottom may seem unimportant until you start using the machine. In order to not play on a flat surface, most present-day ice shavers rest on rubber rings or feet. We expect that those customers who’ve got kids and have a lot of picnicking on weekends may need to bring ice shavers around. 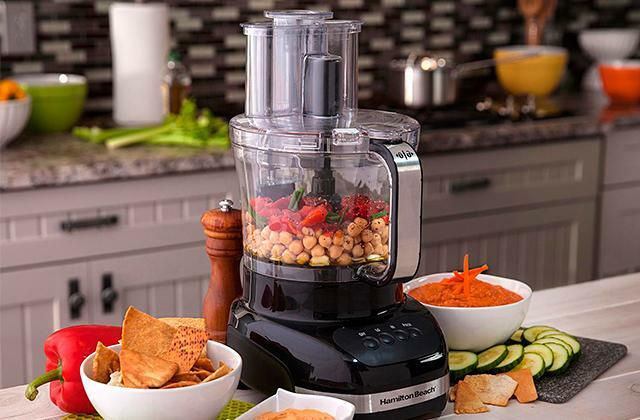 Well, there are plenty of lightweight machines, so you’ll never upset your child and will always have the chance to please his or her taste buds with new flavours at any time! 1. Shave ice, Wikipedia. December 17, 2016. 2. Mariel Synan The Colorful History of Shaved Ice, History.com. July 18, 2013. 3. What is shaved ice? Baking Bites. August 2, 2012. 4. Brynne Chandler How to Make Homemade Shaved Ice, LEAF. 5. Healthy Ways to Make Snow Cones, SFGate.